Banksia Tigers FC have appointed Mudrek Abaid as our youth Technical Director focusing on Under 12 to Under 18. 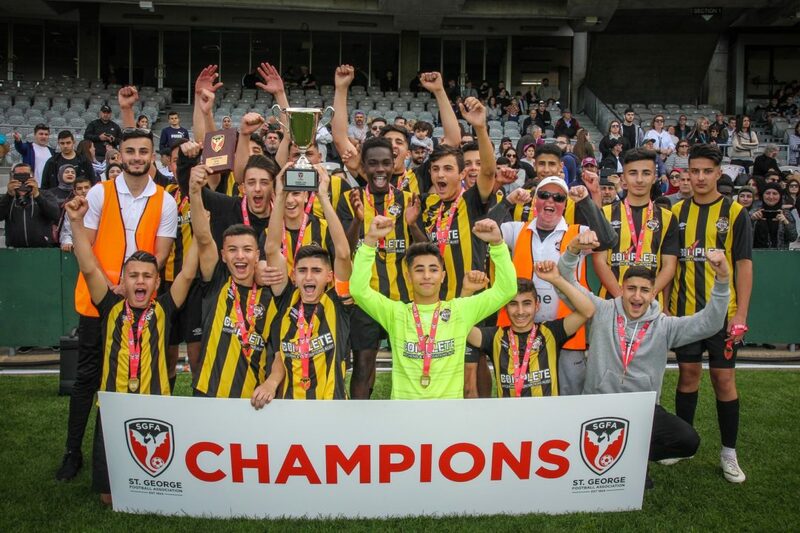 He enjoyed an excellent first season in this role where many of the youth teams played part in finals football with many of those teams winning premierships and minor premierships. Mudrek has played at NPL level for many years, he holds his FFA youth and senior coaching license and is currently the captain of our Premier League team. Mudrek is popular amongst the youth, he displays great composure, discipline and excellent morals which are fundamental requirements for his role. To read more about Mudrek, please visit the below link on his profile. Banksia Tigers FC have also appointed Dina Elachi as our female Technical Director with a intent to increase female football participants at our club, we are looking to grow our current numbers to have as many of our young sisters playing the game across all the different ages starting with Under 8, Under 10, Under 12, Under 14, Under 16, Under20, Premier league woman and All Age ladies. Dina has played at an elite level, she is the Goal Keeper for our Premier League woman team and she has all the characteristics we need to mentor our young girls and engage the older sisters to be more involved in the game. To read more about Dina, please visit the below link on her profile.